Mr. Joel was Jewish and his wish was to benefit charities which promote the Jewish faith and to help Jewish people in need. 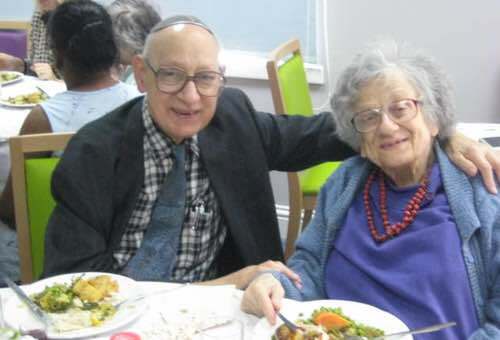 We consider applications from Jewish charities that help the elderly, disabled adults and children and young people. Please note grants will only made to benefit charities in the UK. Please see below an example of a charity that we support under this Object. Thanks to The Childwick Trust, older, isolated deaf and deafblind sign language users – many frail, with reduced mobility and/or dementia – can enjoy hot, nutritious lunches at our warm and friendly weekly Day Centre, whilst joining in a range of accessible, fun, stimulating activities, alongside friends they can communicate with. The Childwick Trust enables JDA to maintain excellent catering standards and provide these vulnerable older people with delicious meals to suit all tastes and medical/dietary needs. Many of our clients live alone and are unable to cook for themselves. Only at their much-loved JDA can they benefit from fresh, healthy food, where lunch is often the highlight of their week.